If you search for a group called "Please Make This In SL" and check notices you'll find this hair with color change hud courtesy of (love) hair. The color change feather attachment is optional. Hair: "native (banged)" with feather accessory Please Make This In SL group gift created by (love) Hair. Both outfits are from Delicious, a great store for anyone outfitting a new character. In the back there is a freebie hut with over 20 outfits for slaves, panther girls and free women as well as previous group gifts. There is also a Mini Mania and several lucky chairs in the various buildings so be sure to look around. 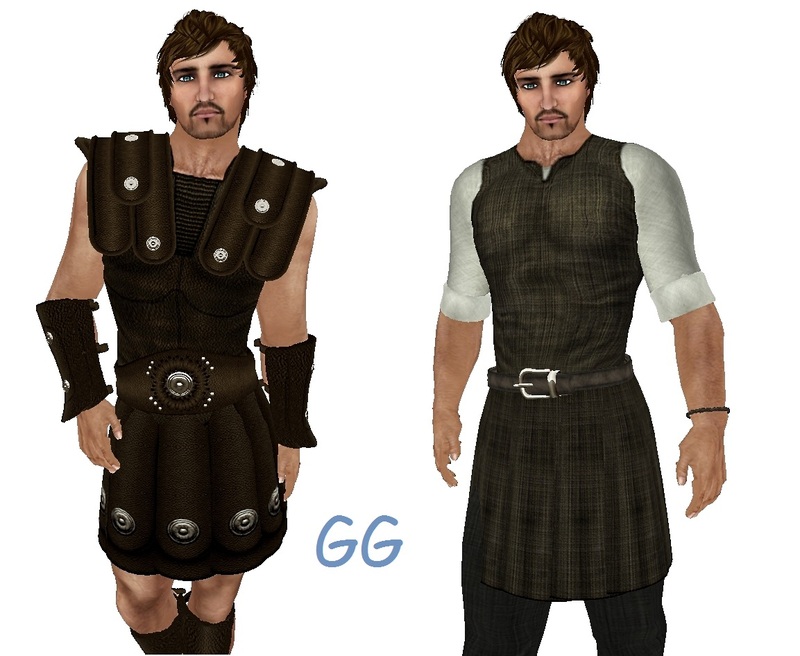 There are 10 group gifts as well as freebies and dollarbies available at Creative Chaos that would be great for women playing in Medieval or Fantasy themed sims. 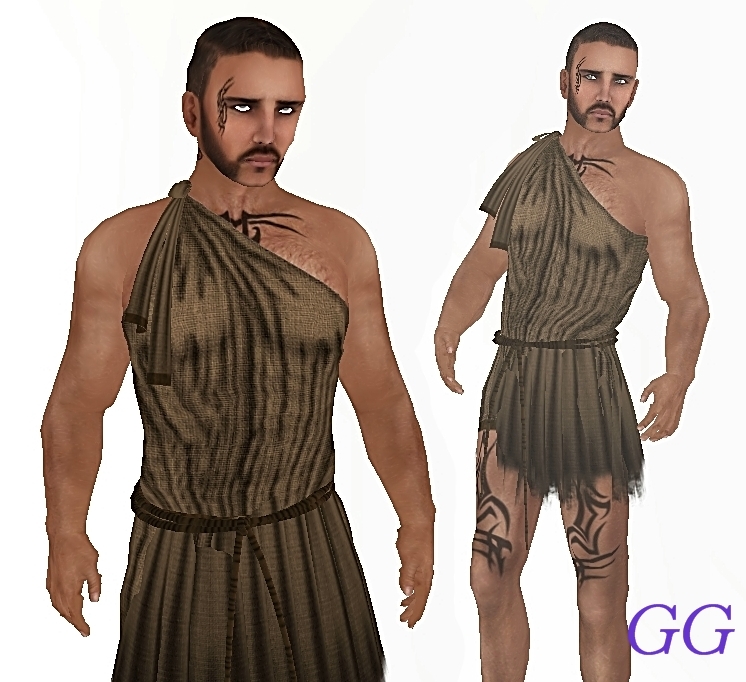 With a few minor adjustments or modesty shirts these could also work in some Gorean sims. I know there are many hunts going on right now but if you are looking for a fun easy one the Corset Lust Hunt has only 33 stores with ease to follow hints and great prizes for roleplay and for nights at home. The Corset Lust Hunt runs August 1st to 14th. Magika is having a Clearance Sale at the back of the store until August 8th on all older styles. Fatpacks of all colors ranging from 29L to 99L. The skin in the photos is the lucky board prize at Mamboo Chic. I sometimes forget to blog about Vigo because I think everyone must know about their generosity and incredible selection of clothing for roleplay. In case there are some that might not, Vigo has four mini manias upstairs and several lucky chairs around the market. When I won the Keira outfit I thought it would work well with this month's group gift skin at Al Vulo. Roawenwood has recently updated the lucky chairs. I love this store but the letter G is unlucky on these chairs for me so it took a while for me to win these and be able to show you. I've included a few more finds from the Midsummer Night's Dream Hunt which will be ending July 28th. This was originally posted over a year ago but I'd like to revive it. Roleplayers are such an interesting group of people. They love to talk about their characters and the places they play. I often get notecards or messages telling me about sales, group gifts, freebies and other items that might be suitable for roleplaying. I also run into a lot of people who give me landmarks and information about the places they play. 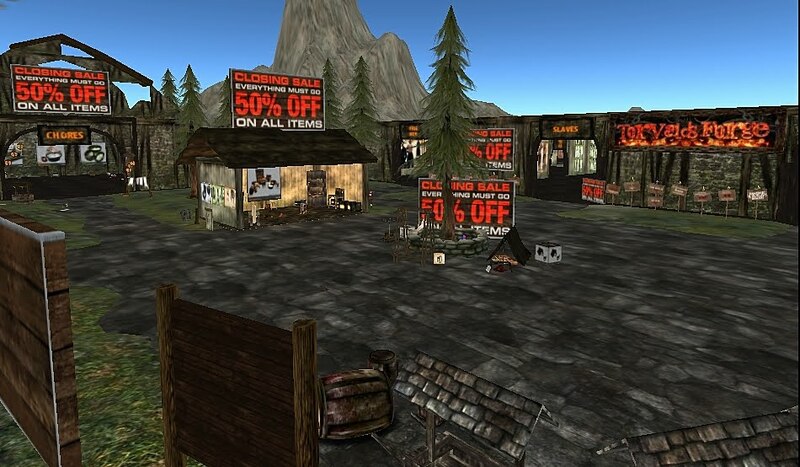 I’d like to expand this blog to include not only items to roleplay in Second life when you are on a budget, but also feature the places where you can play those characters. Unfortunately I’m not sure that I have the time to showcase all the various RP themes and sims out there so this is where I thought you could come in to help. If you would like to have pictures of the places you roleplay and the characters you’ve created shown on this blog send me a notecard with the following details. What your character is wearing: I know many people don’t want their unique look to be imitated but here is your chance to show others the hard work you put into creating your personal style and character. 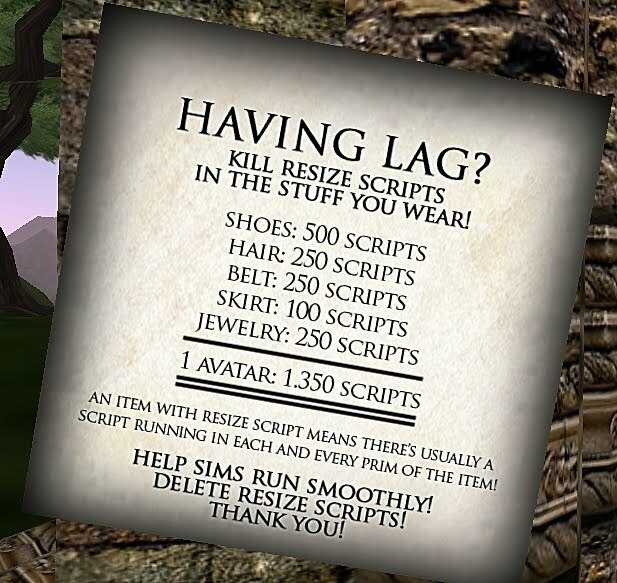 Please include as much information as you are comfortable sharing including store name, store SLURL, and item name. Your character does not need to be wearing any free items, but if they are that would be a great bonus and in keeping with my goal of helping people roleplay on a budget. Send the notecard entitled Themed On Location and pictures to GoreanGoodies Shuffle and I’ll put them up on this blog as soon as I can. This isn’t a contest, there is no prize. It’s just an opportunity to share a little about your roleplay, your sim, and your character with like minded people. I hope you have fun with this. I’m looking forward to showcasing some of the amazing characters and places I’ve seen in my grid travels. There are a few group gifts and four lucky boards at D!va for hair. I combined them with outfits I won at Una & Luas and some skins that are currently available for free as well. Hair: “Mai Topaz” 10000 member group gift at D!va includes many colors and scripted color change hair band. Skin: “Spirit : Harmony : Truffles” lucky board prize at Heartsick. Comes with cleavage and freckle options. Shown here with the teeth tattoo layer that is included. Hair: “Yuria Garnet” lucky board prize at D!va includes option of one pony tail or two and scripted color change scarf. I dropped by the Gorean Information Center a few weeks ago and received an IM letting me know that the freebie skybox had been updated to include items donated several designers, content created specifically for the GIC, as well as retired items from Vigo. When you arrive at the Gorean Information Center, click the teleporter and chose “Freebie Area” to get to the skybox. Items range from free to 10L. In addition to clothing you can find weapons, animations, accessories and a wide range of notecards and information about Gor. Here is a sample. Join the LaVie Skins and Shapes group to receive this months free gift. The group is currently free to join but will be soon be charging a 300L fee so you want to get in now. Wearing your group tag, pay 1L to the month gift sign in store at LaVie to receive this tattoed Andre skin in two tones. Cancer touches all of us in some way, right now I can imagine that you are thinking of someone who is a survivor or who survives in your memory. I am. There are many hunts this month and a few would be great for roleplayers. I haven’t yet had a chance to get most of the items so I’m going to give just the basic details for now. The name of this one got my attention. There are 73 participants and many of them gorean. See the blog for a list of merchants http://huntforrp.blogspot.com/ There is no publicized list of hints and the prize locations will be changing. Starting location http://slurl.com/secondlife/Brooklyns%20Finest/13/15/601 but this hunt loops so you can pick it up at any of the locations. Usually one of my favorite hunts of the year for all the cool gadgets and accessories. See the blog http://steamthehunt.blogspot.com/ for details about the stores involved and preview of some of the items. Appears to be 193 participating locations at last count. Great gifts for the more devious minded and darker characters, this years theme is Nevermore. It has historically been one of the most difficult hunts on the grid with 250 partipating locations. The prizes are moved around so hint lists and SLurls can be outdated. See the blog http://twistedhunt.com/ for more information and prize previews. If you compare the participants list there are some merchants listed in more than one of these hunts so you might be able to pick up multiple gifts while you are there. Be sure to read and click the signs at the locations, many will give hints and offer groups to join that can be not only helpful but fun to chat.